StockMarketEye downloads stock quotes, historical data and other investment related data from free resources on the Internet. The 2 resource sites used by StockMarketEye are Yahoo! Finance and Google Finance. In your watchlists and portfolios, you can use either Yahoo or Google or both within the same list. StockMarketEye will use the stock symbol to determine from which provider it will retrieve the data. Google ticker symbols have an exchange prefix attached to the stock’s ticker symbol (such as NYSE:JNJ), while Yahoo ticker symbols have an exchange suffix for non-US securities (such as LLOY.L) or simply the stocks normal ticker symbol (such as JNJ) for stocks that trade on the main US exchanges. The sections below provide more details on our data providers. Yahoo! Finance covers a broad range of securities from most major world stock markets. They provide delayed current quote data, historical quote data, dividend data, current foreign exchange quotes and historical foreign exchange data. Current quote data from Yahoo Finance is delayed, usually between 15-20 minutes. The best way to find Yahoo! Finance ticker symbols is to use StockMarketEye’s built-in symbol search. Search results that have the Yahoo! icon ( ) in the first column will get their data from Yahoo!. 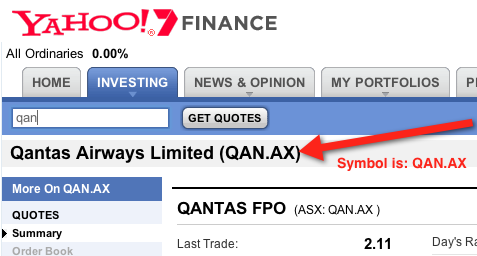 If the symbol search does not return any symbols that match what you were looking for, you can also use any ticker symbol that you find on the Yahoo! Finance website in StockMarketEye. Simply copy-paste it from the Yahoo! 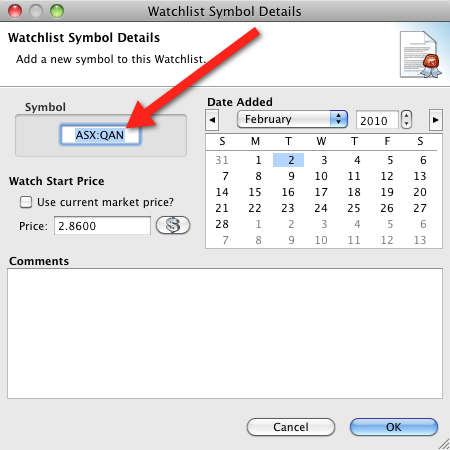 Finance web page into the “Watchlist Symbol Details” window or the portfolio “Buy or short-sell a stock” window. Securities that trade on exchanges in the United States use the standard exchange symbol. For example, Apple Inc. is AAPL and Microsoft is MSFT. Securities that trade on non-US exchanges have an exchange suffix added by Yahoo! Finance in order to differentiate them from securities on other exchanges that have the same symbol. Here are some of the most common exchanges, their suffix and a couple of example ticker symbols. Google Finance covers fewer markets than Yahoo! Finance. They provide current quote data and historical quote data. Current quote data is real-time for US, Indian and Chinese markets. Additionally, they cover some securities that Yahoo! Finance does not (such as Canadian mutual funds). The best way to find Google Finance ticker symbols is to use StockMarketEye’s built-in symbol search. Search results that have the Google icon ( ) in the first column will get their data from Google. If the symbol search does not return any symbols that match what you were looking for, you can also use any ticker symbol that you find on the Google Finance website in StockMarketEye. 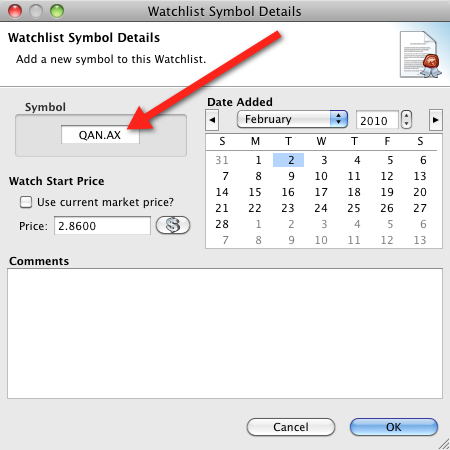 Simply copy-paste it from the Google Finance web page into the “Watchlist Symbol Details” window or the portfolio “Buy or short-sell a stock” window. All Google Finance symbols are prefixed with an exchange prefix, including symbols for securities that trade on exchanges in the United States. Here are some of the most common exchanges, their prefix and a couple of example ticker symbols.